There are many iGaming companies that have created some fantastic casino games. One of these companies is WMS. 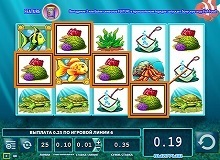 WMS has made many great online casino machines – and one of them is called Goldfish Slot. This is a very charming, very fun title to play. It’s for the reason that the Goldfish game is one of the most popular games to date. The theme of this machine is underwater life. 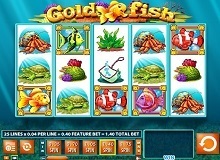 There are many fish and other creatures that live underwater in Goldfish Slot. The game doesn’t feature any exact storyline as some of the most modern gambling titles do. But this still doesn’t take a lot from its excitement. And you will really love the music! There are 25 pay lines in Goldfish Slot. The play also features 5 separate reels. But what truly makes this game stand out – apart from its style – are the special features. Read more about them below. First of all, it’s important that we talk about the minimum and maximum bets that you can place. The biggest bet that you can place is 105 coins. And the lowest bet, in turn, is 0.35 coins. 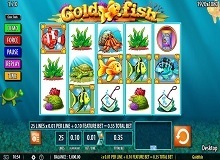 But if you play Goldfish slot machine online, you can benefit from some of the bonus features. Every once in a while, a fishbowl will appear on the screen. This is the sign that you have accessed the bonus round. One of the fish symbols of the game will jump into the fishbowl. If it’s a goldfish, then you will get free spins. You can get 5-20 free spins depending on your luck. Pick one of the balloons to see what you’ve got. The purple fish bonus will give you three bubbles with one number each. The numbers range 0-9. The three bubbles will form out a sequence of numbers – and this sequence will be the prize that you will win in the form of coins. The redfish bonus will give you an option to select a clam, a castle, or a chest. All of them hold different prizes. And the fun doesn’t end there. The fishes can start kissing your prize – increasing your winnings in the process. The green fish will give you a number of balloons that you can choose from. Depending on your choice – you will get the appropriate prize. The bluefish will reward you with 1-3 super scatter wins -with big prizes attached. How to Win Money in the Slot? One of the most attractive things about this title is its high volatility. In layman’s terms, this means that you won’t win as often – but once you do win, the chances are that you will win big. The RTP rate is 96%. Of course, if you’re hesitant to play Goldfish for real money – then you can find a Goldfish free version to play. There are many demos of this pokie scattered all over the internet. It’s a good way to learn more about this game and to see if you will like it. There is no autoplay or gamble feature in this game. So, this means that you’re going to have to win money in the good old-fashioned way. You need to be lucky in order to win some cash. Luckily, there are many different bonuses that you will benefit from. And the best thing is that these bonuses spring up on a regular basis at Goldfish casino slot online. So, you can expect to win big sums of money sporadically in Goldfish Slot. Goldfish is a great game. We would still like to see the gamble feature and the autoplay feature to become available. However, we believe that they aren’t available due to the high volatility of the game. You have to be present to play the frequently occurring bonus games. Otherwise, it defeats the purpose. We suggest that you give this title a try. Thousands of people that enjoy playing this game can’t all be wrong. We think that you will be captivated by the game’s overall style and presentation. And you have to be tone deaf not to like its beautiful music.